Kissinger is not perfect but he has more brains than all the neoconservatives put together. We may not like all his ideas but they have some possibility of success in unsure world. “Kissinger is not perfect…” That might be the understatement of the century. He is an odious, repulsive, self serving ogre. Look at the horrors that he brought about with his vaunted intelligence. 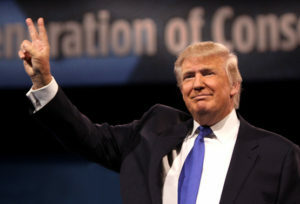 Only people who think like him (e.g. Hillary Clinton) admire him. To the rest of us, Kissinger is one of history’s great villains. The positive side of Kissinger is that he understands the centrality of the balance of power to peace in Europe. When the major European powers are in agreement, we get peace. When they are not, we get war. By seeking to revise the post-cold war settlement, Putin has disturbed the balance of power in Europe and, historically, there has always had to be a war to establish a new balance, with the “disturber” usually ending up on the losing side (Napoleon, Hitler). It was clearly a major US blunder not to allow Russia, Ukraine and Georgia to join NATO together, when the European members of the alliance wanted them to join, but what’s done is done and that cannot be used to justify Putin’s actions in Ukraine. Ukraine is in fact the only real problem between Putin and the US, NATO and the EU. 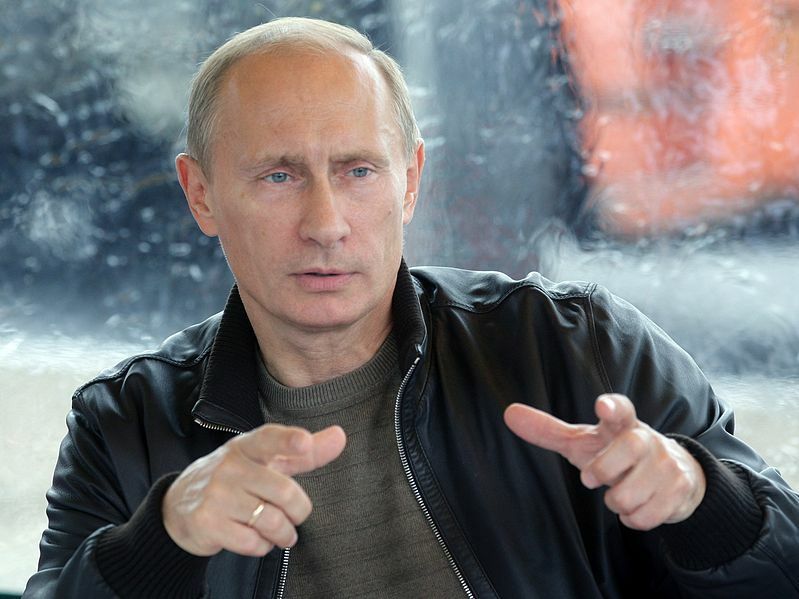 Getting Putin out of Ukraine is thus the necessary and sufficient condition for an end to the present confrontation. If Trump can pull that rabbit out of the hat without war, the world will thank him for it. The, essentially American, idea that Russia is somehow “apart” from the rest of Europe thus doesn’t seem to be shared by Russians, and certainly not by Putin himself. Putin has put his whole prestige on the line in Ukraine and any concession, however minor, could discredit him with his elderly Soviet-generation supporters back home, who want the Soviet Union, the whole Soviet Union and nothing but the Soviet Union. He has thus painted himself into a corner and it’s hard to see how any settlement can be reached without Putin’s departure from the political scene. Kissinger’s problem, though, is that he is not liked in Europe. He’s regarded as too arrogant and too Machiavellian. I don’t see anybody trusting him and the fact that nobody now trusts Putin will just make things worse. Odd as this may sound, Hillary Clinton would be a much better choice! This is just untrue and a gross misunderstanding of the situation. Sorry to sound personal but this is exactly why Kissinger is still better than most and definitely better than Ms. Clinton. He at least gets his facts right. I wrote above what we want. There is nothing about Soviet Union there, but of course, if the facts get in the way of a good theory, to hell with the facts. And Putin’s approval rate is some 80%. 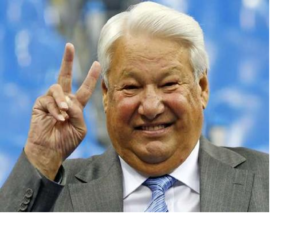 Do you think that 80% of the Russian population are elderly Soviet generation? In fact, he is more supported by younger people than older generation. I am 51 and I support him too. Kissinger is a mass murderer and WAR CRIMINAL, perhaps one of the greatest in history based upon the results of his machinations. Nothing he says has any value, period. In his time, Adolf Eichmann was an expert on Middle Eastern Issues. If he were alive today, would we value his expertise as a means to achieve peace in the Middle East? To me, Kissinger is no different. He should be relegated to the trash heap of history–or EXECUTED for his WAR CRIMES. That is a vital point. Many discussions highlight using China against Russia, with the implication that the US was willing to hold itself away from Russia as an ultimate evil. Actually, that would have allowed China to use the US as a balance between itself and Russia. Keeping each closer than they are to each other is key. It is also generally not recognized, even among those who claim to favor what Kissinger did. Now that is what would happen in a just world…….However…….I could elaborate but the information I have may land consortium in the fake news category…….It really isn’t fake…..Its just soon becoming illegal…..PoP goes the weasel……..
Consortiumnews was already listed on ProPornOT’s list of non-stenographic news sources. Kissinger was not a great statesman nor scholar. He was Sec of State of the most powerful country in the world and all he did was bring misery to it. Kissinger should be the last person to talk about morality. Why would anybody take this shriveled piece of trash seriously? That people should accept this only prove how undemocratic the masses are. Capitalism has always been undemocratic. Something is seriously wrong when people look hopefully to Henry Kissinger for wise stewardship of American foreign policy. The man was and remains a cynical monster and an indisputable war criminal. Read Greg Grandin’s “Kissinger’s Shadow” to understand why Henry K is undeserving of the fawning respect contained in this article. Kissinger is not wrong about everything, but he has been wrong about many things and is completely uncaring about the disastrous consequences of his mistakes. Actually, he doesn’t think that he has ever made mistakes. His decisions were always correct even when things didn’t turn out as planned. As for those who ended up dead or disappeared, Kissinger is essentially indifferent to their fate. They were little more than unfortunate casualties of the big power games that he loves to play. As a Russian, I am really perplexed why Russia’s goals and intentions are so grossly misunderstood over and over again. Even by an obviously smart person as Mr. Kissinger. Russia is NOT expansionist. Being by far the biggest country in the world, with a relatively small population, Russia does not need, want, or can in fact stomach any additional territories. What we are going to do with all these peoples and territories, when we have so many underdeveloped places of our own? We are not stupid. We do not want to spend our lives fighting and subjugating all those peoples around us. However, there are two additional factors that MAY be misjudged for expansionism. We are the core of a unique civilization and culture, different from the Western, Chinese, Muslim and the others. As such, we are very sensitive to issues regarding the people who belong/are close to our culture. Not territories, but people. Think francophonie, for example. We do not approve and will resist the attempts by the West to disregard the rights of these people and even more so – to convert them into the Western fold. This is the origin of the Crimean crisis. This is the reason for constant tensions with the Baltic states. They do have large Russian-speaking minorities, and the rights of these minorities are not protected at all. The solution to this problem is very simple. Again, think francophonie. Look at Canada’s Quebec. Nobody in this day and age (unlike in the past) really wants to change the Quebeckers into Americans or Anglophone Canadians. In fact, diversity is one of the most remarkable features of Canada, the source of its strength. Why the Baltic states, or Ukraine, should be any different? Just respect the rights of all major cultures and languages, like they do in Canada. There will be no Ukrainian, or Moldavian, or Latvian problem. The second issue is security. Over the centuries, Russia learned in a hard way that no land border is secure unless the neighbors there are friendly nations that subscribe to the same set of rules and values. You in the US cannot possibly understand this, either from your own experience or that of your British cousins. You and them happen to live on an island or a whole continent and thus are accustomed to invade other nations, not the other way around. In the past, it was possible to deal with the neighbors who refused to respect Russia’s interests using military force. It was always really a last resort solution and very costly to Russian economy and population, so it was done only if there was no other choice. Again Crimea may serve as an example. For centuries Russians tried to reason, negotiate or even bribe the Crimean Tatar khans, but they continued to raid the Russian lands and take millions of Russian people hostages. Therefore, the only solution left was to use the military force and destroy their Khanate once and for all. The problem was solved, but only after centuries of futile attempts to reach peaceful agreement that would respect Russian interests. However, this was long time ago. You would think that in this day and time, peoples and powers can be reasonable and can learn to respect each other interests and seek peaceful, not military, solutions. Most do, but not the US, or so it seems. Then Russia should be ready to protect itself militarily as well. The solution – again simple. Stop pushing for unilateral gains and start to negotiate. In good faith. You will see that the “aggressive Russia” will cease to exist immediately. So it is commendable that Mr. Kissinger seems to advocate just that: respect and negotiations and attempts to understand each other. At the very least, this may help to destroy the “aggressive Russia” myth. And, by the way, he was right regarding NATO. 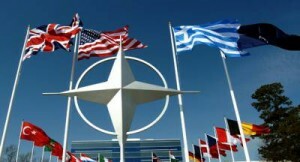 Russia does not belong to the Western club and thus cannot be a member of NATO. This would severely restrict our national interests and thus was not really possible, despite all good hopes. So Mr. Kissinger was right. Gilbert Doctorow: excellent article. Such a brilliant summation of these extremely important foreign policy factors. Surely PEOTUS Trump can do more to secure a better advisory team. Twenty-two years have gone by since then, and it’s not clear how having the Good Retirement Home Seal of Approval of a 93 year old can make any more than a symbolic contribution to ratcheting down dangerous tensions between the United States and Russia. Overall, it appears the strongest component of the crisis is driven by economic interests which profit mightily from escalating conflict as close to the precipice of war, even nuclear, as possible. The danger of walking repeatedly so close to the edge, is stumbling into the abyss over unexpected loose stones. If Kissinger comes aboard the Trump train it might soften Trump’s term to a Hillary Clinton level. I mean anyone who supported Clinton because she was at least better than Trump, smarter than Trump, a better manager than Trump, well, Kissinger is a vestige of what was probably a slightly better presidency than Trumps. So the old war criminal is rehabilitated to serve the new imperial president. Mr. Kissinger has to check with his lawyers before traveling abroad, as he’s wanted for war crimes in several countries more enlightened than ours. Like most presidents, he is a mass murderer. Inviting Henry K seems a pretty competent move, in line with assembling a body of venerable ol’ retreads, going forward and to offset the problems of acceptability of his upset from both ”sides”. I wonder if the whole initial cabinet isn’t just formate to allay resistance to the real plan. What ever the F that is…! And, hell it’s comforting to hear Henri’s voice again…. that guy can make anything sound like thesis material. This is what is missing in Kissinger. Where is his acknowledgement of the “U.S.’s long tradition of expansionism”? This is not even talked about. If he can add credibility to peace talks between the U.S. and Russia, be a bridge between Trump and the neocons, I say use him. Then get rid of him. Trump doesn’t need these old cold-war relics around him. Where is his acknowledgement of the “U.S.’s long tradition of expansionism”? Probably hiding next to U.S. hacking operations while we accuse the Russians of such dastardly behavior. It’s wrong when “they” do it, but it is okay if we do it. Henry Kissinger? When I saw that name I remembered something I learned at Consortium News fairly recently, and went checking to see if Kissinger was involved. Surely there are other people engaged in the “Reality” type of diplomatic affairs besides the 93-year-old backstabbing monster Henry Kissinger. Zachary Smith – “Surely there are other people….besides the 93-year-old backstabbing monster Henry Kissinger.” YES! I imagine there are many. 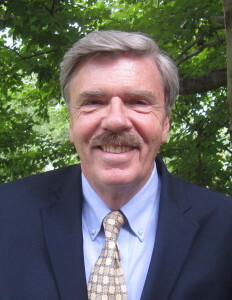 Heck, get Robert Parry in there. I do not trust Kissinger. His name shouldn’t even be coming up. 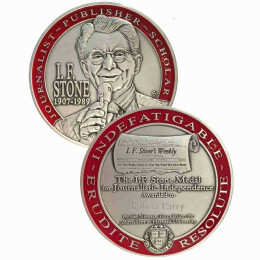 As I. F. “Izzy” Stone said, “All governments lie” and Nixon was among the best/worst of liars. 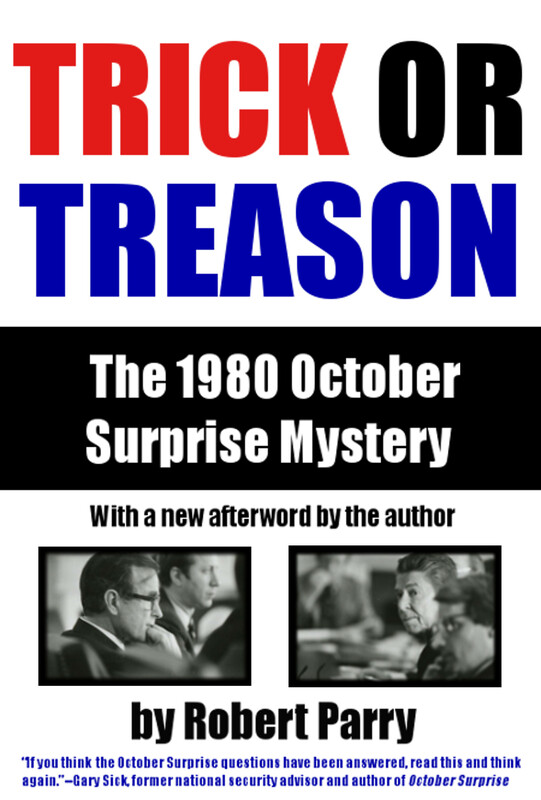 However, when it came to treason Lyndon Johnson was in no position to be self-righteous. He was president when the Israelis tried to sink the USS Liberty and murder its crew after which Johnson led the coverup. I’m surprised how kindly this article is to Kissinger. Off topic: journalist Stephen Lendman has been banished from Facebook. He says: “I won’t be censored. I’ll continue telling hard truths to the best of my ability. Banishing me is Facebook’s shame – its CEO Mark Zukerberg and minions doing his bidding in cahoots with US dark forces, waging war on humanity at home and abroad. “If we take this report at face value, it tells us that Kissinger, an old cold warrior, is working to use Trump’s commitment to better relations with Russia in order to separate Russia from its strategic alliance with China. I lean to that assumption. Think about it, inside the 21st Century China is going to rise (let’s error on the side of caution and consider this a fact) so with a powerful new kid on the block like China, the U.S. could find some benefit to teaming up a rich mineral resources country like Russia. Since we never respect treaties what is there to lose. The hardest part will be for the U.S. to tune down it’s military, and then there is the MIC. Further more there is that small portion of the CIA who won’t be needed as much, and what to do with them. Let’s hope President Donald just wants Henry’s opinion, and then hope our new Commander and Chief calls Professor Brenner, or why not Gilbert Doctorow. Why not get both, or a whole team of foreign policy advisers and experts and develope a whole new plan, which will do the world well for years to come? Does anyone know if Trump’s guest book was signed by Zbigniew Brzezinski…if so, now you may worry. Wow……5 stars for the person with a big brain…….BINGO !! Kissinger is a clever strategist whom is a devout Zionist…..never forget his allegiance……. Thus, the updated Kissinger line was that universal moral principles serve as the ultimate objective of foreign policy, but realism must guide the day-to-day management of international affairs. When were moral principles, universal or otherwise, ever factors in Kissinger’s decision-making? If evidence were needed to refute Obama’s mendacity about no one being above the law, Henry Kissinger would be a prime example among more people than we can count. Kissinger is not interested in morality when it comes to politics. Politics is a game wherein people lose their heads if they are not alert. A realist assesses the power relations he(she) sees and finds an advantage (for whatever goal is worthy) therein. American realists believe the U.S., by its very political structure, is the best overall actor in world affairs and ought to be the dominant power in the world. That people like Kissinger believe ought to be the policy. However, where realists differ from neocons and neoliberals, is that they believe in stability and gradual movement towards a goal. The neoconlibs are impatient and want to win quickly with lots of confrontations and fist waving and, yes, blood. I for one get tired of conservatives coming up with new terms for their same-old tired, regressive policies, repackaging old fish with today’s newspaper/new-jugs-old wine. We’ve had Scalia and his ‘Originalist interpretation’, Milton Friedman and ‘Monetarism’, Kissinger and ‘Realism’, etc, but they (and others) are never even true to their own psuedo-theories (as Doctorow displays here re: Kissinger) and ultimately come off as sycophantic opportunists. This entire situation is starting to smell more and more like Cold War-era propaganda. Sally – yes, I can just hear a judge accepting an affidavit with a bit fat “disclaimer” on the top of the document! Where is the God-damn evidence? How much respect for sovereignty has Kissinger shown? Not in Indochina. Not in Chile where he supported the coup against Salvador Allende. If I recall correctly, he wanted to embroil the US in wars in Angola and Mozambique. This is but a sampling. Of course, it was not only sovereignty that he ignored, but the lives of many thousands, perhaps millions, who were killed or wounded in his wars and other machinations. Detente would be good. Kissinger is not the only man in America who could pursue such a policy. 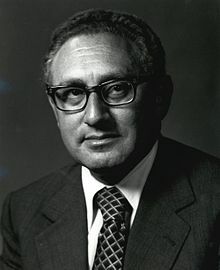 Do you think that people in this country and other countries would really trust Kissinger? Is he not also damaged goods due to his friendship with the neocon warmonger Hillary Clinton? Jerry – my first impression too when I heard that Kissinger had reared his ugly head. Kissinger, Soros, Clinton, McCain – time for the pasture, people! Retire already. Kissinger is aligned with Clinton. I would not trust him. I didn’t hear him shouting from the rooftops when Gaddafi was murdered, when they went after Assad. Where was his indignation? So the U.S. tears up the world, overthrows anything that breathes, lies through their teeth, and then presto – pulls out the old detente dinosaur to smooth it all over. Nothing gets undone; the damage remains. It’s just smoothed over. Russia gets smeared, surrounded in U.S. bases, but now comes the genie to fix it all? Why aren’t we hearing Kissinger screaming for the U.S. to remove their bases? Why isn’t he yelling that the U.S. need to get out of Syria and stop funding, arming and abetting the terrorists? I don’t hear you, Kissinger! Kissinger is the cleaner who comes in at the end, sweeps things up. Meanwhile, you’ve gotten what you want. In your list of people Kissinger associates with (Clinton, Soros, McCain,) you didn’t include Rockefeller. When you put Rockefeller, Kissinger and Brzezinski together, you have globalist agenda. The relationships between Kissinger and Putin, and Kissinger and Trump is the biggest question mark I have regarding the true nature of relations the US and Russia. I’ve often thought the so-called self-named “Realists” arrogated to themselves too much credit for their interpretations of reality. It is perplexing indeed to see that our foreign policy establishment has positioned itself to the point that Kissinger can come up with a few breaths of fresh air. I like how Kissinger ridiculed the hubabaloo over Crimea, but he still didn’t muster much truth-telling. As far as Russia and China are concerned, guys like Kissinger or Obama or Kerry or anyone else representing the U.S. don’t operate in good faith and won’t be able to make either of them a “third wheel”. Yes, his “realism” consists of getting deals for Israel. We have had enough of that fifty times over. Anyone with that baggage cannot be sold on his mere belated realization of the obvious in a few areas. Kissinger was a disaster for humanity. Henry Kissinger should but might not stand a trial as war criminal before the International Criminal Court (ICC). 124 states have ratified or acceded the Rome Statute but not USA, China , Russia, North Korea and some other democratic countries.. and the ICC’s jurisdiction, though universal, will not be retrospective 2002. Kissinger got a lot wrong. But so did the neoliberals and neocons. If you count only American lives as worthwhile lives, it would be an error to view this artificial dichotomy as significant. Also if you count all lives, as I do, but the cost has been equally enormous, even far worse, since 1980. So I suggest that YOU think of the cost in lives.